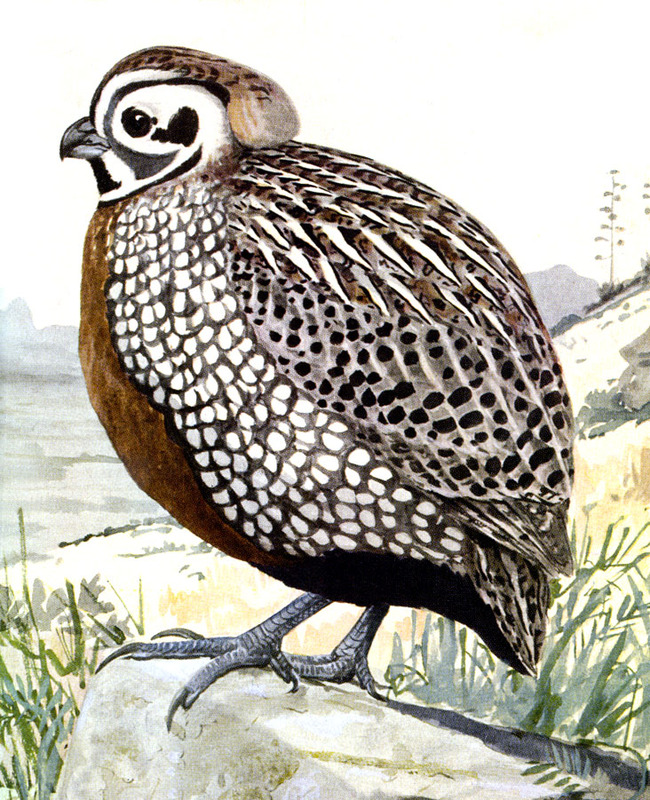 At night, Montezuma Quail gather around a rock or tussock, usually on southeast-facing slopes, the birds in the roost covey all facing outward. Day or night, they’re very secretive and usually hard to find. Measured from head to tail, they’re one of the shortest quail of North America, yet weigh as much as some larger species. They have long, sickle-shaped claws, used for digging. I added my lifer in southeastern Arizona during my 2013 Conservation Big Year. I got very quick looks and got to hear a group gabbling, but didn’t get any photos.